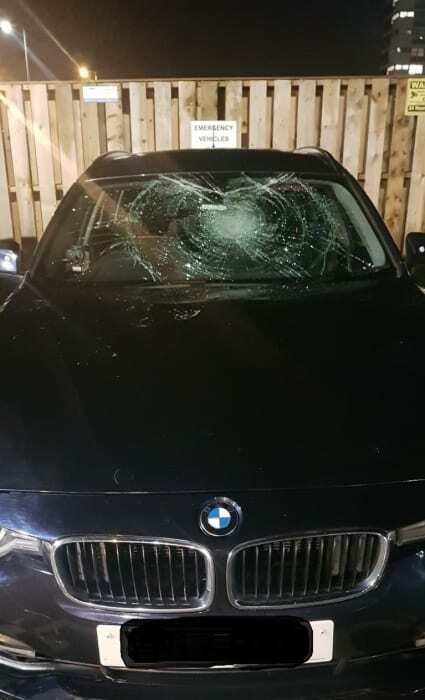 Police are appealing for information after three emergency police vehicles were damaged as they were parked outside Aintree hospital in the early hours of yesterday morning, Wednesday 6th February. The cars were parked in designated emergency vehicle bays at the site in Lower Lane, Fazakerley, when the incident happened at just after 2am. An unknown offender was seen to jump onto the bonnets of the vehicles causing extensive damage before making off on a suspected stolen Yamaha bike. All three vehicles have now been recovered for repairs. Chief Inspector Diane Pownall said: "This is just mindless criminal damage. "These three emergency vehicles will now have to be taken off the road to be repaired which will cost thousands of pounds. "I would appeal to anyone who was in the vicinity of Aintree hospital who witnessed this incident, anyone who saw the bike in the area or anyone who may have captured anything on CCTV or dash-cam footage to contact us." Anyone with information is asked to DM @MerPolCC, call 101 or contact Crimestoppers anonymously on 0800 555 111 quoting log 0048 of 6th February. People complain about not enough coppers etc, and the scum then do this??? People complain about not enough coppers etc, etc, and the scum then do this??? Beggars believe really, thousands to put right being Beamers and all.